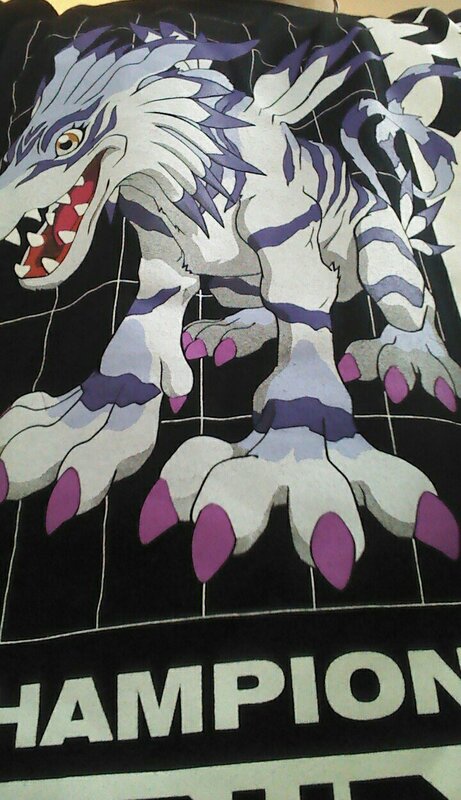 It looks like new Digimon apparel may be coming out in the west. 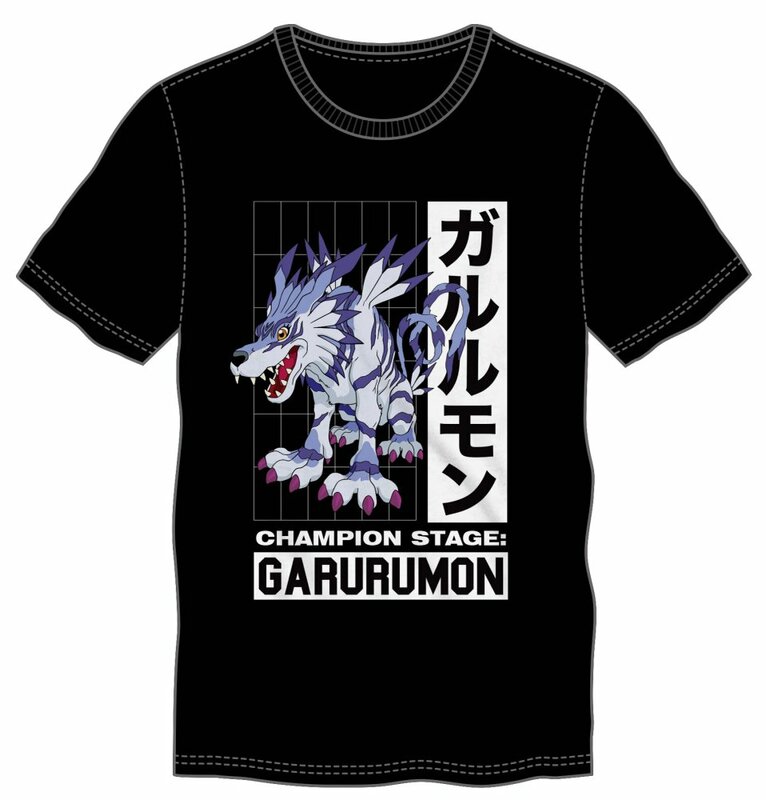 We have images of a new Garurumon shirt, featuring his classic Adventure style artwork, his level, and his name in both English and Japanese. It's been spotted at Gamestop, and purchased, today, so if you check stores you might be able to find it. Thanks to Flying Shadow for the heads up! Anyway, I would've thought they'd use a new artwork, not a generic one. I think you misunderstood. This is a western product, so if anything is surprising, it is the inclusion of Garurumon's name in Japanese. Ah, wish I knew earlier so I could have checked the one by my house before it closed today. I'll definitely stop by tomorrow and see if they have it in stock. I mean, the Adventure dub never really shied away from showing the Japanese names in the evolution sequences, so even that isn't particularly surprising. Yeah, the Japanese text in the dub was what the English text is in the original, just window dressing. I love how the "Snowmanmon" they made up for dub ads has Vamdemon's Night Raid and Bloody Stream as its alleged attacks. I just wish these shirts had more color; not that I don't mind a black shirt (and I'm sure it's cheaper to produce) but a mid to dark blue would fit this way more and just be more fun in general. Oh well.